Solar energy is being touted as a clean energy solution that can potentially save homeowners considerable money over the panel's lifetime. However, is solar the right choice for every homeowner? Solar panels have become common in communities in California, New Jersey and Arizona. Learn more about solar energy before making the switch to sustainable energy today. Traditional sources of energy create chemical by-products and may produce toxic emissions. Solar energy is a clean source of energy that has gained a following in many first world countries, including Germany and Japan. The United States is not only the only country taking advantage of solar panels for residential and commercial use. Solar energy is used in countries around the world to provide an affordable and sustainable energy source. The use of solar panels decreases a home's carbon footprint by approximately 35,180 pounds of carbon dioxide annually. Solar power can be used not only by homeowners of traditional homes. Homeowners of tiny homes, apartments, RVs and mobile homes can all incorporate solar power to meet energy demands of their home. Those looking to become completely self-reliant, such as those living an off-grid lifestyle, can pair solar panels with batteries to securely store energy produced from a solar panel system for later use. Homeowners may be surprised at how long a properly installed solar panel may last. There are a range of panels and systems available. However, solar panels may have a lifetime of 25-30 years. Homeowners may want to hold on to accompanying warranties just in case a panel needs replacement prior to the end of its expected lifetime. Once installed, solar panels often require minimal maintenance. Homeowners choosing to lease solar panels may have maintenance requirements met by their solar power company. Solar panels have become more efficient and affordable since their initial introduction. Homeowners who choose to install solar panels may reduce their electricity, which, in addition to other energy efficient upgrades, can steadily save homeowners money. Factors may influence how much homeowners save. Homeowners who lease may have to pay utility companies less for their electricity. Those who own their system outright often experience more savings over the lifetime of their system. Utility companies may choose to pay customers for extra energy produced by their solar panel system. 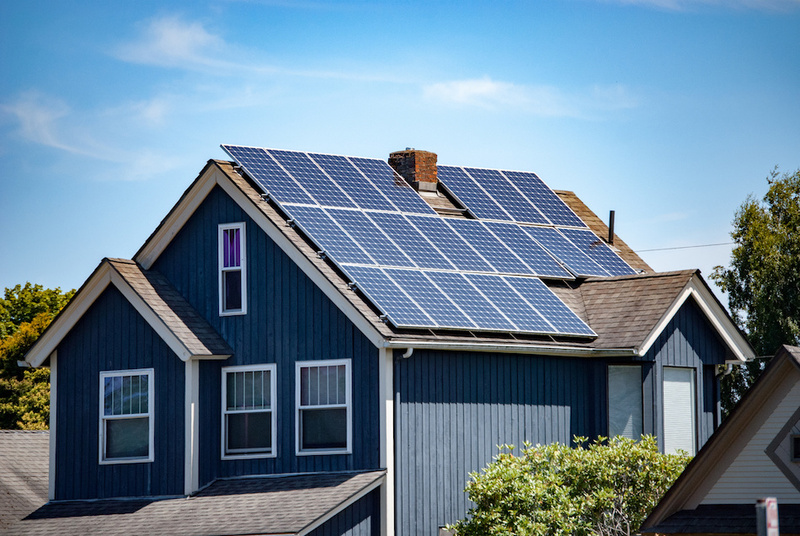 In addition, government and state agencies have helped make solar panels more affordable for homeowners by offering government and state tax incentives. Homeowners can choose to go the DIY route when installing their own system. However since installation requires the addition of wiring and panel placement is important for optimal efficiency, it is best to allow a professional and reputable solar panel team to install a system. Homeowners should look for a professional offering a strong warranty, who is licensed and bonded, and can provide recent customer references upon request. Solar energy is not only used in homes in the Southwest but in homes in colder regions. Those who also want to store their energy may continue to meet their San Geronimo home's energy demands during inclement weather. Homeowners must have a permit to have a system installed. This is another reason to have permits and installation handled by a reputable solar company. Many homeowners have already made the switch to solar and are spending less on their electric bills. Talk to a reputable solar professional to learn more about solar energy for residential use.